What Could Your Community Do with a Radio Station? When Prometheus pressured the FCC to create the Low Power FM radio service in 2000, more than 800 groups knew they wanted a voice in the media. We have highlighted some of the best community radio has to offer here. 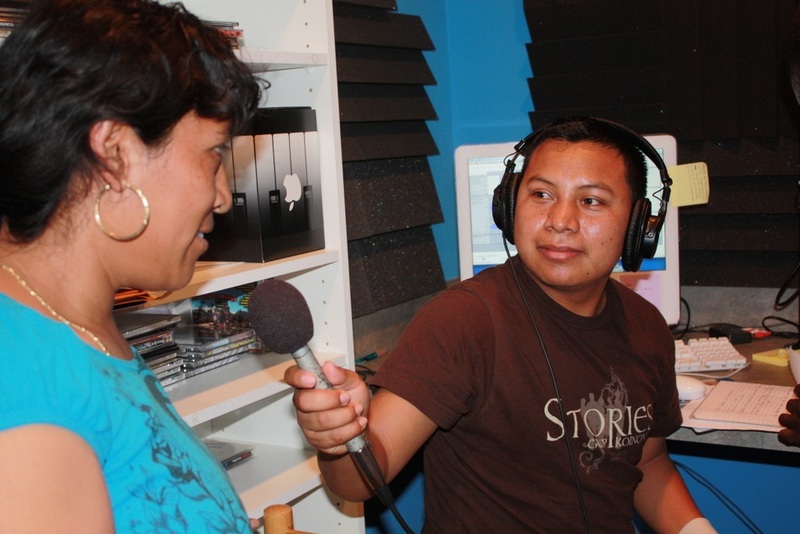 WCIW, R adio Consciencia: In Immokalee, Florida, the Coalition of Immokalee Workers broadcast in 5 different languages on their station, WCIW, to organize immigrant farm workers to win higher wages and better working conditions in the fields. Prometheus helped them build their station in 2003, and they say it has helped them build their membership into the hundreds. CIW has helped expose modern-day slavery in the fields, and they've won historic labor campaigns against Taco Bell, McDonalds, and Burger King. - Click here to listen to recent testimony that Cruz Salucio of CIW provided on the power of radio for a webinar that Prometheus co-hosted with U.S. Human Rights Network. In Spanish with English translation. KOCZ in Opelousas, Louisiana is run by the Southern Development Foundation, an African-American community development organization which sponsors agriculture programs, leases land to farmers, and preserves the region's heritage of zydeco music on the airwaves. 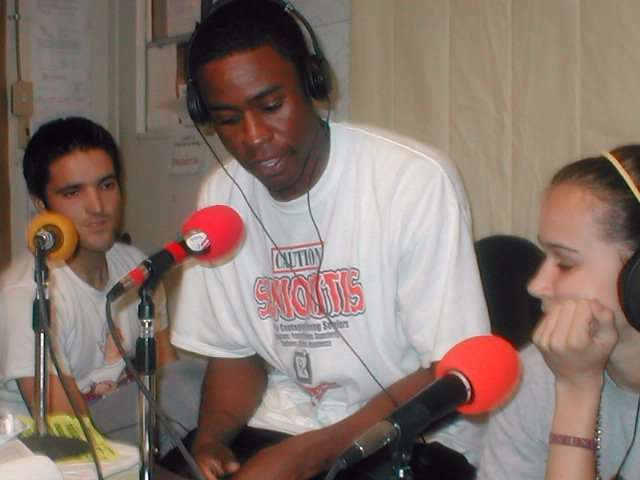 The station also broadcasts public affairs shows religious programming and hiphop. Read the New York Times article about our friends at KOCZ! KPCN, or Radio Movimiento, is the community radio station run by PCUN, Pineros y Campesinos Unidos del Noroeste, or the Northwest Treeplanters and Farm Workers United, the largest Latino organization in Oregon. Today they have hundreds of volunteers and are expanding the amount of services they offer to the community. Click here to watch a video of the radio barnraising Prometheus co-hosted with PCUN. KOPO-LP near Maui Hawaii was started as a youth program at the Pa'ia Youth & Cultural Center. Youth have their own programs, airing music and essays. 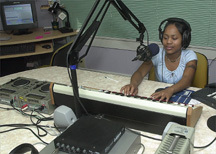 The station helps kids build confidence and meaningful relationships in the studio. 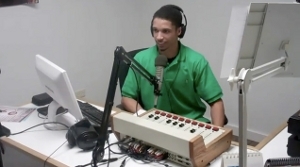 KDRT, run by Davis Community Media in California, features a call in show with a teenaged DJ. The only area broadcasters of local election information, gardening tips for the Davis area, and programs geared to schoolchildren. WUVS 103.7 LPFM in Muskegon, Michigan on a Thursday evening and you'll hear a segment with a Muskegon County judge, a public service announcement from nearby Muskegon Heights Public Schools, and a music and talk show with WUVS founder and general manager Paul Billings, known on-air as PA.
WRFR in Maine: Broadcasts everything from science fiction stories to indie music. WRFR is much beloved by its Maine community. The station participates in Rockland's yearly Lobster festival and keeps its listeners informed of other events, too. Run by the Penobscot School. WSCA: Its 100+ volunteers come from many walks of life and are all over the political spectrum. Conceived as a music station, WSCA broadcasts tons of public affairs programming to cater to its Portland, New Hampshire community. Considering its different programmers, the shows vary widely, including "All Things Gay" and "Don't Dis My Ability." 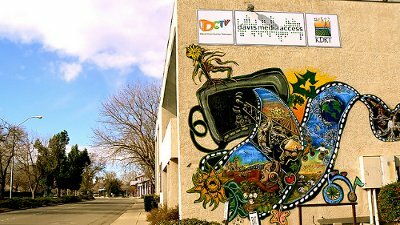 KDEE is a Black cultural heritage station near Sacramento, CA. 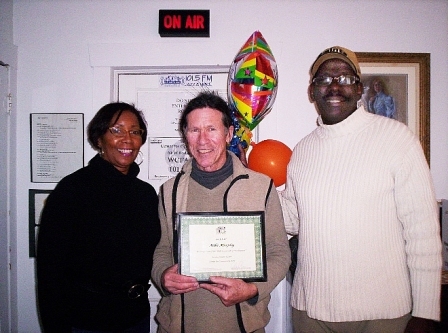 The station broadcasts an award-winning environmental radio show by Black Americans for Black Americans. 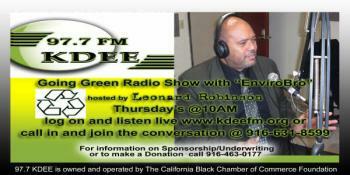 KDEE-LP also produces local talk shows and is expanding its vision to include other minority groups. In the aftermath of Hurricane Katrina, WQRZ provided the only source of emergency information in Hancock County, Mississippi, after 125 mph winds destroyed bridges and other infrastructure. 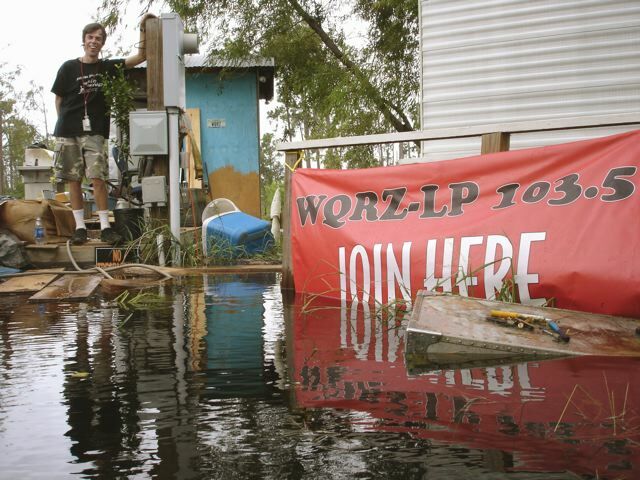 WQRZ helped its community through Katrina and Gustav, and now broadcasts not just emergency info but music, a public affairs call-in show and more. WQRZ is run by the Hancock County Amateur Radio Association. KSAP has triumphed over a lot, including getting kicked out of City Hall. It's a hub of community uplift, featuring small businesses, nonprofits, and individuals. KSAP is run by Port Arthur, Texas's Truth & Education Corporation. 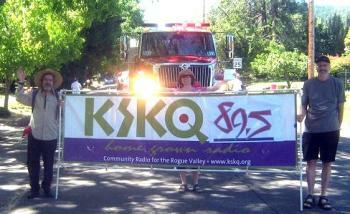 KSKQ is the voice of Oregon's Rogue Valley. It's moving and transitioning to full power so more people can hear that voice. Along with a program produced by schoolkids, the station airs a program with 60s and 70s music entwined with stories from the Vietnam war and many more. 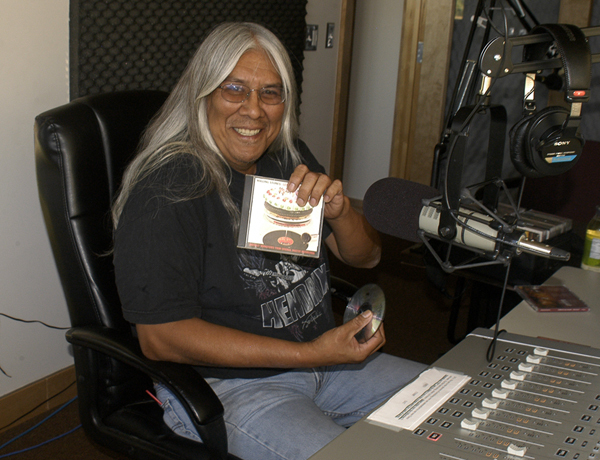 The station is run by the South Oregon Multi-Cultural Association. KDGZ: Run out of a local high school, the station carries a lot of programming created by students. It's a teaching tool for students interested in telecommunications. 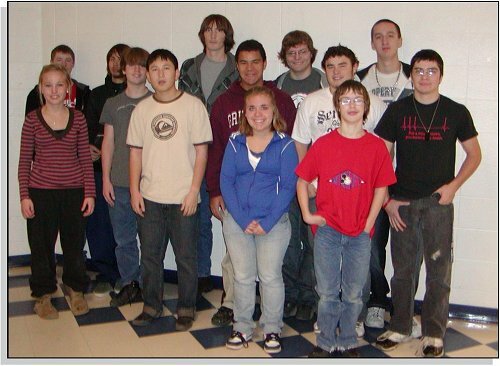 KDogs radio is also part of a student/teacher-run business that tracks invasive weeds. Run by Townsend's K12 School District. WCFA-LP: In Cape May, NJ. 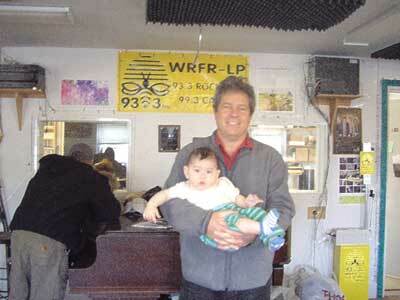 Combining an eclectic blend of jazz with community-generated special programs, the volunteer-run station, WCFA-LP 101.5 FM broadcasts 24 hours a day, 7 days a week in a 10-mile-plus radius from the Wildwood Crest water tower. 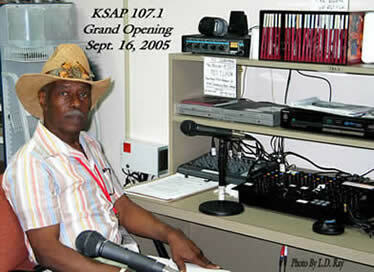 WCFA-LP went live in the fall of 2006. KPYT broadcasts from a reservation to the southeast of Tuscon, AZ and serves the Pascua Yaqui Tribe. Its programs address the local culture in ways that none of the commercial stations would or even could. For example, on "Tribal Legacies," community members are invited to talk about their traditions, culture and stories. From 1-3pm on Mondays, Wednesdays and Fridays, there is Yaqui-language programming. KPYT also broadcasts programs on diabetes prevention, wellness and behavioral health. The programs have a real effect on the community, evident in two new wellness centers. Members of the local public safety group also come on air to talk about quality of life issues and crime. KUYI Hopi Radio, in Northern Arizona, broadcasts “House Calls” where those on the reservation can call their health questions into an Indian Health Service doctor, bringing the docs right into homes via radio airwaves. To stay updated on the latest news about applying, FCC rulemakings, resources, and chances to participate, Sign Up for our Email List.